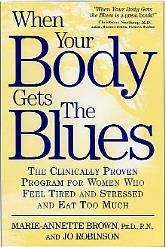 "When Your Body Gets The Blues: The Clinically Proven Program for Women Who Feel Tired, Stressed, and Eat Too Much!" The body blues is about those who have trouble sleeping, controlling their eating (especially sweets), and concentrating. If you have any of these symptoms, you may have the "body blues" (or "vegetative depressive symptoms"). 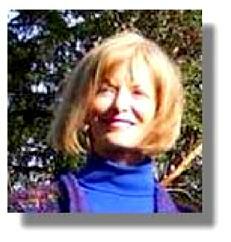 Authors Marie-Annette Brown and Jo Robinson name these blues, which are caused by low or fluctuating hormones, "women's most misdiagnosed, undertreated, and mistreated mood problem." 1) Walking outdoors at a brisk pace for 20 minutes, 5 or more days a week. 2) Greatly increasing their exposure to natural and artificial light during the daytime but decreasing their light exposure in the late evening hours. All told, the three activities required only 20 minutes a day. At the end of the 8-week study, standardized tests revealed that the women who were assigned to the 3-part program were less anxious, angry, irritable and stressed. the day. In fact, 25 percent of the women reported a noticeable weight loss, even though they had not been asked to diet.